While juice cleanses may seem as though they are a new phenomena, they have actually been around for many hundreds of years. Many religions use a cleanse or a fast as part of a healing, regenerating, focusing or repentance ritual. Modern juice cleanses are used for a multitude of reasons. Some of the ways in which they have been claimed to work include helping with; weight loss, detoxification, healing, addiction and focus of the mind. Essentially the Juice cleanse diet is a fast. If a participant sticks to a strict juice cleanse they have a reduced caloric intake of 1000 – 1200 calories per day. Particular combinations of fruits, vegetables, herbs and spices are made to encourage different reactions. There are hundreds of different juice cleanses available. While some of the plans and recipes are available online, many of them have also been commercially packaged, delivered and include vitamin supplements. In order to prepare for a juice cleanse, participants should increase their intake of raw foods including salads, vegetables and a small amount of fruit. They should also reduce the amount of meats and grains they consume. Some cleanses also recommend including a colonic irrigation before beginning a juice cleanse diet. For a three day cleanse, this stage would last for one day before the cleanse starts. The actual cleanse includes a number of juices made from raw, organic fruits and vegetables. Some cleanses also include nuts, herbs and spices which are chosen for specific weight loss, healing or detoxification properties. They may also include the addition of vitamins or minerals. Because there is little or no fibre in the juices, some cleanses also include psyllium which can help to cleanse the bowel. For a three day cleanse, this stage would last for the three middle days. In a three day cleanse this stage would last for one day after the actual juice stage. During the withdrawal, participants eat small portions of fruits and vegetables to ease back into a regular diet. Participants are also encouraged to drink a lot of water during this stage. New to juicing? If you're interested in doing a juice cleanse you'll need to obtain a juicer that will remove the juice from the fruits and vegetables and leave the dry leftovers to be easily discarded. Make sure you choose a juicer that can easily handle all the fruits and vegetables in the diet including kale. Kale is one of the worlds healthiest foods and can be added to just about any juice diet, as long as your juicer can handle it. Drinking green juice morning is one of the best ways you can protect your health and maintain a healthy body, as well as immune system. There are pros and cons to doing a juice cleanse. Depending on a participant’s mindset, it can be extremely beneficial or detrimental to a person’s ongoing weight loss and weight management. Juice cleanse participants can lose a lot of weight very quickly. It’s a great way to get ready for a particular event like a party or a wedding. It can make a participant feel more confident and positive after seeing a change in their appearance. It can also be a good kick-start to a healthier lifestyle. On the other hand, it’s hard. It’s hard to stick to a strict diet of juices, even over a short period of three days. 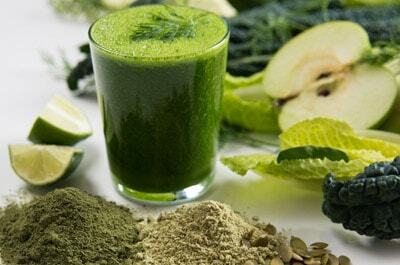 Often those who do an intense juice cleanse will then return to their regular diet and exercise regime. Even though participants may lose weight and feel healthy and inspired, if their regular diet is high in fats and sugar, they will regain the weight almost immediately, with the added problem of having slowed their regular metabolism through fasting. The juice cleanse diet can be a good idea for those who are motivated and can stay committed to a healthy, clean lifestyle. For those who have trouble sticking to a clean diet, it’s probably best to steer clear.